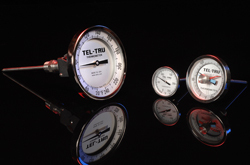 Tel-Tru instruments are designed and built to support the requirements of demanding food processing, dairy engineering, and process industry environments. Our feature-rich units will provide reliable transmitter output to remote devices within your facility or that can be integrated into expanded control systems to help processes run more efficiently. The series is available in two popular styles offering a wide range of convenient configurations and stem lengths from 2-½" to 24". The first is a 5" diameter, stainless steel, back-connect, bottom-connect, or adjustable-angle configuration with a direct mounted stem and a reliable easy-to-read 1" tall digital display. The Digi-Tel series offers a 4.5" diameter, polypropylene housing-based configuration with remote-sensor and easy-to-read 1" tall digital display. 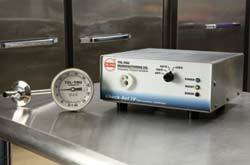 Stems and fittings designed for direct replacement of liquid-in-glass thermometers are available for both styles. 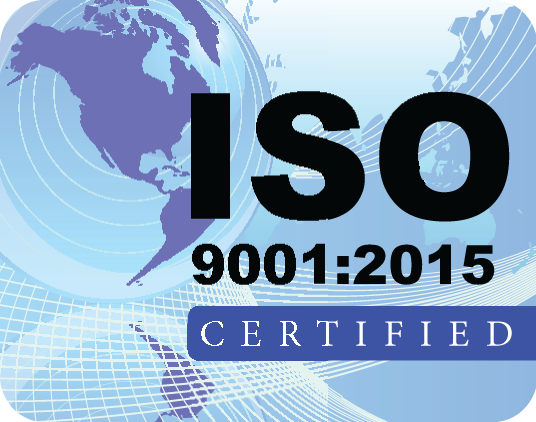 All models meet FDA Rule 21 CFR 113.40 requirements for temperature indicators used in retorts, and the requirements of the Pasteurized Milk Ordinance for dairy applications. 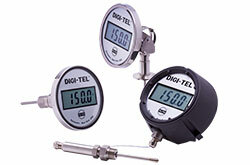 With NIST-traceable accuracies and a wide temperature range, the new Digi-Tel series includes a convenient PC-based Calibration Software Kit (accessory, purchased separately) that allows the user to quickly and easily adjust the number of significant digits on the digital display and to field calibrate your Digi-Tel electronic thermometer to your traceable or relative accuracy standards. Loop powered or long-life lithium battery powered, the new Digi-Tel series has a five year warranty from date of shipment to you. The Digi-Tel Electronic Thermometer Series --- offering extensive configuration options with the solid durability and accuracy required for the most demanding industrial applications. 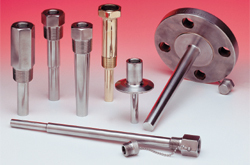 Tri-Clover sanitary flanges that meet 3-A Sanitary Standard Number 74-06 requirements - sizes 3⁄4" to 4"
Additional Literature – See our Buyer's Guide for information on other Tel-Tru products and accessories.